Teachers and school staff have a unique insight into a child’s personality by observing them at school. When a student’s typical disposition suddenly changes, there is always an underlying cause and bullying can often the culprit. These vicissitudes can be indicators that something is amiss, and many victims of bullying display specific changes in their personality and behavior. If you know what they are, identifying these shifts can put teachers on alert, prompt dialogues, and, most importantly, initiate action to protect the victim and get the bully redirected. Students who are bullied will avoid their oppressors at all costs. If a child is missing an unusually high amount of school days, it’s important to know why. Always, always ask about scratches, bruises or torn clothing. If the question is deflected, start thinking of different ways to engage. If necessary, move the conversation away from a group to a more intimate 1:1 setting where it could help a child feel more comfortable opening up. 3. Avoids trips to the bathroom. School bathrooms are typically not monitored, and in many surveys, students have expressed a fear of harassment or intimidation while in the bathrooms. Everyone has off days, but complaints about feeling ill or numerous visits to the nurse’s office might indicate something bigger is going on, which prompts the child to remove themselves from a situation. Loss of interest, focus, and participation indicate that a child is distracted, most likely in a negative way. 6. Aversion to team activities or organized sports. When out of a classroom setting and away from earshot of authority figures, bullies have more of an opportunity to pick on others. 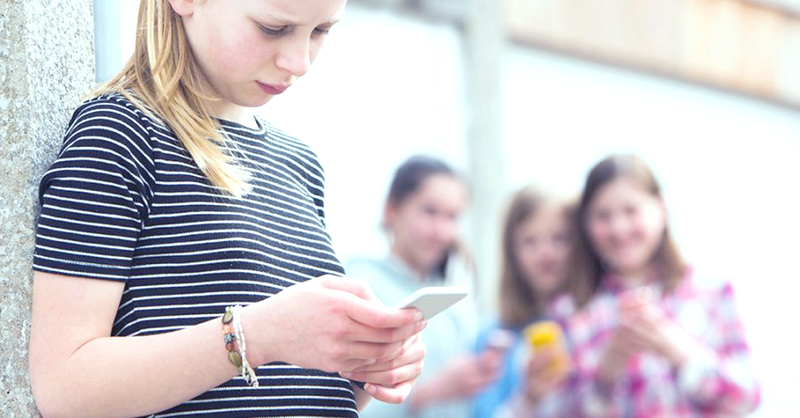 After school activities and sports are common venues for bullying behavior. These 12 signs commonly indicate that a student is being bullied and they can worsen as the mistreatment continues. It goes without saying that if a student alludes to harming themselves or talking about suicide, seek additional help immediately from a trusted source, counselor or doctor. Humans need stimulation, and if a student suddenly avoids social situations with former friends, encourage dialogue and show compassion. 9. Sad, moody, teary, anxious or depressed demeanor. If a typically well-adjusted student displays these traits, it’s very possible they are feeling isolated and/or bullied. Children can be intimidated speaking to even the most trusted adults, so remember to tread gently and have a few ideas in reserve if your first attempt doesn’t work. Don’t give up! 10. Suddenly Obsessed with Electronics or Doesn’t Want Them. In today’s day and age, technology is both a blessing and a curse. If there is a sudden and extreme change in a child’s device usage, an online situation is often at the root. 11. Begins bullying younger kids. Behavior is learned, and a child who is bullied can sometimes flip their role and become the bully. 12. Feeling Helpless and/or Decreased Self-Esteem. If a child begins blaming themselves for things that are out of control or feels that they are not good enough, show that you can be trusted as someone they can talk to. Early detection is paramount to helping these children stop their abusers, and also in getting the bully the support and services they need. Awareness is everything, so trust your intuition if something seems “off” and look into the situation. It could be the difference that saves a child’s life.